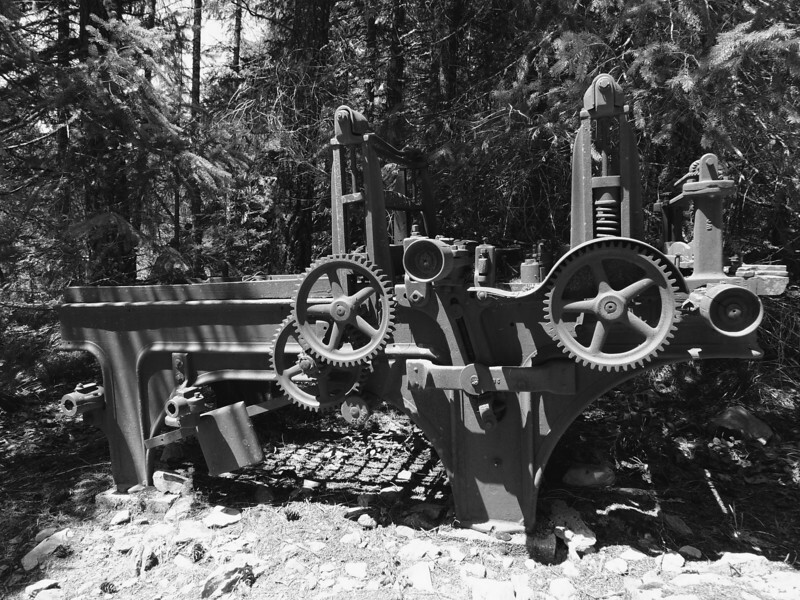 Early 20th century industrial detritus in the Oregon Cascades. Unlike most "ghost towns", Jawbone Flats never lay vacant for decades, vulnerable to the ravages of vandals and souvenir-hunters. When mining ceased in 1992, it was donated to an educational foundation for use as an interpretive center. Since most of the old equipment would cost more than its scrap value to haul away from that remote location, it's mostly still there. I have no idea what this piece of equipment did. My best guess is that it was some sort of an ore-crusher.